Did you see road rage? Witnesses are being sought after a man was assaulted while giving way to a passing car in Bridlington. At 4.15pm on Friday 28 August 2015 it is alleged a couple from Hornsea drove along King Street, Bridlington and gave way to an oncoming car. The Ford Focus car which had priority on the road allegedly took offence to the driver and got out of his car, walked over to the victim and punched him in the face several times, while the driver remained belted in his car. The victim got out of his car, where he was subsequently assaulted for a second time. The suspect allegedly returned back to his car and drove off, dropping a bag of cannabis resin in the middle of the road. 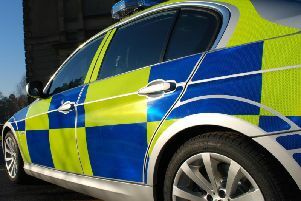 The victim made his own way to Hull Royal Infirmary where it was confirmed the 46-year-old Hornsea man had sustained a fractured cheekbone, suspected broken nose, bruising and swelling to the face. Humberside Police are treating the incident as assault and would like any potential witnesses to come forward. Anyone with any information is asked to call 101, quoting log number 401 of 28/08/15.